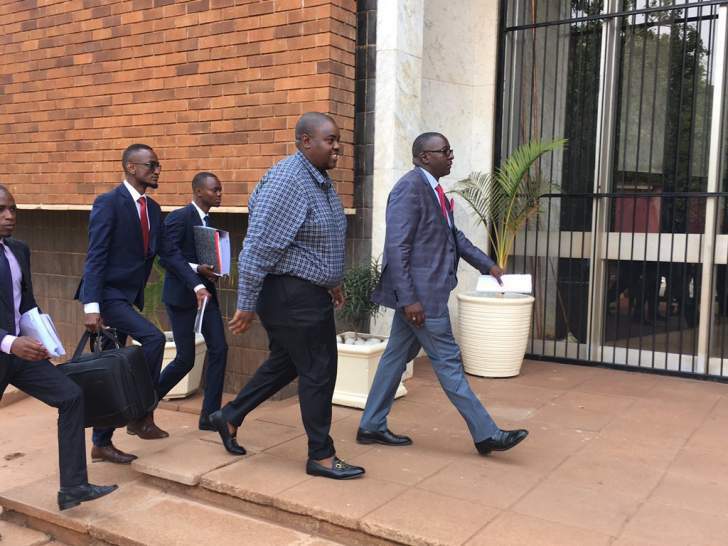 Controversial businessman Wicknell Chivayo has endured a roller coaster ride and mixed fortunes in his six-month bid for freedom, as his $5,6 million fraud case has taken interesting - if not intriguing - twists and turns since August 2018. While the self-styled tycoon has suffered numerous setbacks, including a January High Court order that he must face trial in the matter, the Zimbabwe Power Company (ZPC)'s financial director Eubert Chiwara has given him a boost by exonerating him and restating that Intratrek Zimbabwe (Intratrek) had been legitimately awarded the Gwanda solar project. The parastatal boss' testimony came under cross-examination by defence lawyer Lewis Uriri and on whether the local company was part of three compliant bidders - out of an initial list of six - that had been selected by the then State Procurement Board. "It is alleged that the accused was paid without an advance payment guarantee, but... there was no need for advance payment guarantee because it was not an advance payment. ZPC was paying for work already done not which was to be done," he said. According to Uriri, Chivayo had done some on-site work in Matabeleland South, even though it was not complete because the ZPC had failed to obtain an environment impact assessment certificate from the Environmental Management Agency (EMA). "ZPC had the obligation to secure EMA certificate within those 24 months. Accused could not do some of the work because at law you cannot do any project without being certified by EMA," the feisty lawyer said. Uriri said if there was under-performance, ZPC should seek remedy through the civil route or arbitration rather than pursuing criminal charges - a point that resonates with Justice Benjamin Chikowero's August 2018 observation when he gave Chivayo a $2 000 bail. The case, meanwhile, will be back in court on March 28 when the State is scheduled to call its second witness. As the case has taken interesting twists and turns, Chivayo has also been dragged to court for numerous other cases related to the ZPC issue, including the alleged bribery of former ZPC chairman Stanley Kazhanje. At some point, the state even contemplated combining the 36 year-old businessman's trial with that of former Energy minister Samuel Undenge. And Chivayo's early victory last week also came as High Court judge Tawanda Chitapi had awarded him a $25 million civil damages award in December, and stated that the parties' October 2015 contract was valid. But Justice Joseph Musakwa said in late January that the burly businessman must face trial after upholding the Harare Magistrates' Court's decision to dismiss his exception application over the ZPC deal. Crucially, Chivayo gave a sigh of relief when the learned judge threw out of the major charges against him which is money laundering charge. And in granting him bail in mid-August last year, Chikowero suggested that the case against the Intratrek founder was "weak and unsustainable to lead into lead a conviction". In his trial on Friday, Chivayo got a further boost and relief when Chiwara told the Harare Magistrates' Court that the Intratrek tender was awarded after key recommendations by the ZPC evaluation committee and the then State Procurement Board. When asked by Uriri, the parastatal purseman confirmed that the company and its board had done their own evaluations, and awarded the contract after input from supply chain managers. The Temple Bar senior advocate argued that it was incorrect for the State to maintain that Chivayo had prejudiced the institution of nearly $6 million when work - valued at $3,6 million - had been done and an evaluation report by ZPC engineers had only red-flagged outstanding work of $1,8 million. And in the Chitapi ruling, the court not only slammed the ZPC's duplicity for instigating the youthful businessman's arrest and seeking to frustrate the completion of the project, but that the contract could not be cancelled unilaterally. Despite the fact that the Zesa subsidiary had listed former board member Tandiwe Mlobane as a complainant, the company made a serious about-turn in January by claiming that it had "nothing to do with the Intratrek owner's arrest" - a development, which added another intriguing dimension to the saga.